My 45 degree blade was dull and so replaced it with a new 45 degree blade. 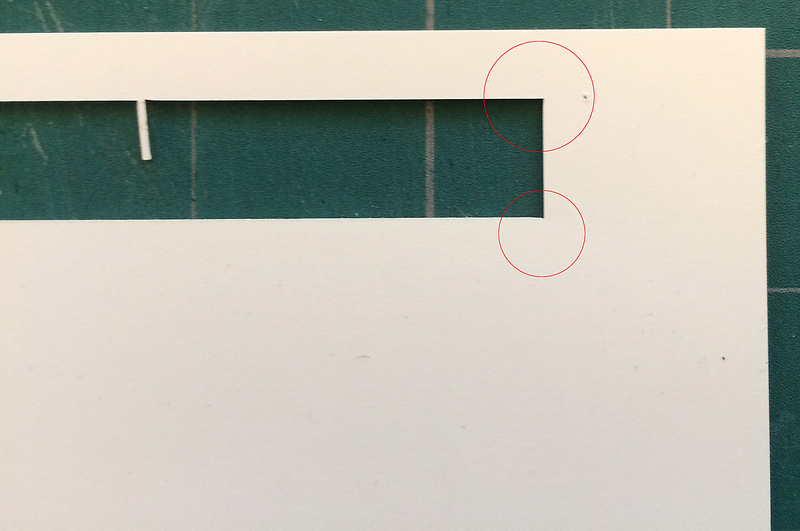 The blade tip protrudes minimally beyond the opening of the blade holder and allows a test hand cut through a sheet of my 48lb paper. However rectangular cuts are not square. There is excellent tack on the cutting board plus I us a roller to press the sheet down and I tape down all four edges. The stock is 48lb, blade is set at 25 post-it height, speed is Cut: 11 Up: 11, Force is 65 and Multicut is 1, Blade offset is .45mm and am using the print-and-cut option. Also I have a fomecore surface level with the KNK Zing on each side so the cutting mat doesn’t sag going forward or reverse. I have two jpeg snapshots which show what is happening if that is any help. For the right angles the blade appears to veer up/left/right and then straighten. On others the edges are rounded. 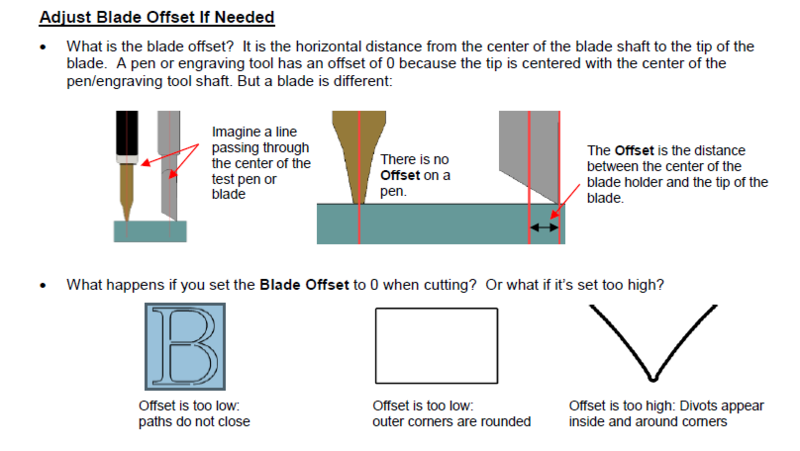 @iQv7ul0Lbn9k0_z37 - the degree of the blades angle does not represent its offset value. A 45 degree blade is considered a standard blade and the offset as explained by Crazy Mr. Zing is typically around .25 for most blade types, and especially if you are using a KNK blade with a KNK blade holder in your Zing. The results you have demonstrated are consistent with a wrong offset setting. I have only experienced a deviation from the .25 setting for one batch of KNK red cap blades (45), where the best setting ended up at .20. 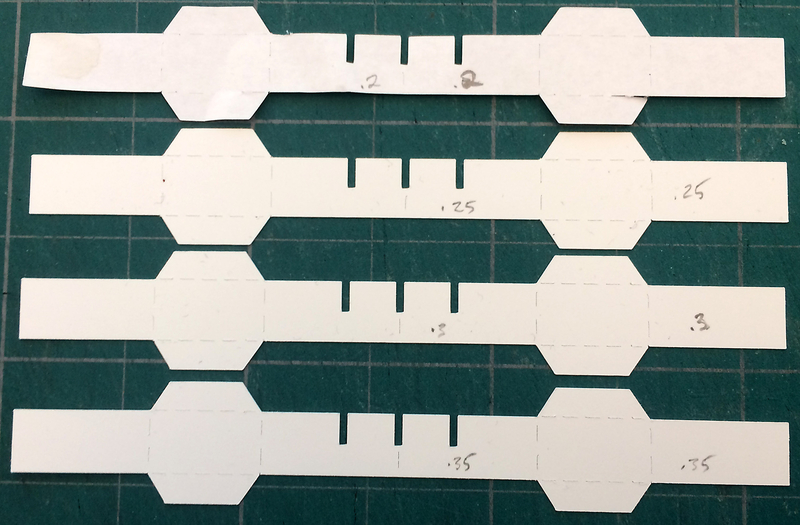 I had adjusted before this by gradual steps from .25 to .30 to .35 etc and found that .45 solved the rounded corners and stayed square for what I'm guestimating was over a year. It seems if this KNK Zing I have (bought in 2016) gradually slips out of square. I've never heard of a cutter slipping "out of square". But given what you're seeing, decreasing the Blade Offset should solve the issue you're seeing with this particular blade. If I thought there was a physical problem with my cutter "slipping out of square," then I would reach out to KNK Support via their site by logging a support ticket for help. You can find that here: https://knkusa.com/support/ Only KNK support can best help you figure out a physical problem with your machine if there is one. Like Sandy (but not as experienced or as knowledgeable ) I too have never heard of a cutter that was physically "slipping out of square." Thanks for the feedback I will try the support link. I'm also posting a jpeg of recent testing at .20, .25, .30, .35. The closest to square is .25 offset but in each test the corners are consistently rounded and not at a clean 90 degrees. The .20 test was taken out of the recycle so that is why it has a wrinkle. 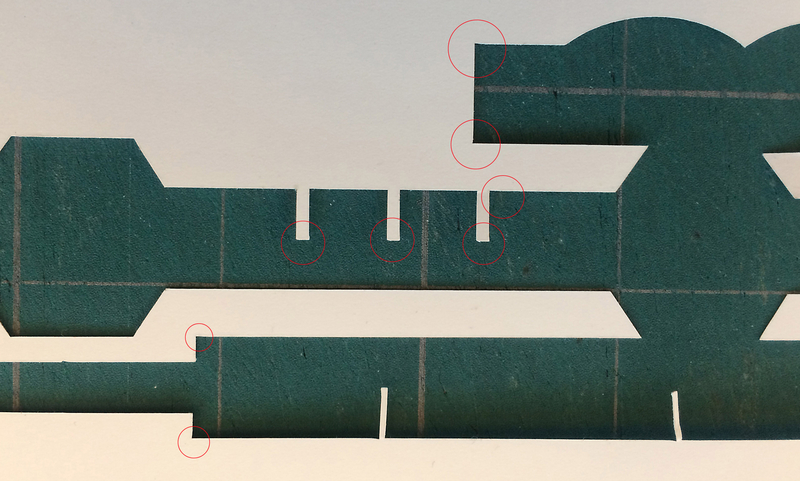 When you do your support ticket, be sure to specify the material you're cutting and the other settings: pressure and cut speed. I know from experience what they ask.